Originally from Sydney, Sarah Àlainn is a vocalist, violinist, songwriter, copywriter and translator. She is multilingual, having a good command of English, Japanese, Italian and Latin. Sarah enrolled at the Sydney Conservatorium of Music and graduated with High Distinction from the University of Sydney. Sarah has both perfect pitch and synaesthesia (she sees sound as colours). Sarah began studying the violin from the age of 5. Because of her talent, she was picked out by Perry Hart, the star pupil of Szymon Goldberg (the renowned violinist who became concert master for the Berlin Philharmonic when he was 20 years old). While studying abroad at Tokyo University, Sarah sang for "Beyond the Sky" (composed by Yasunori Mitsuda), the ending theme to the game Xenoblade Chronicles. In 2012, Sarah signed a record deal with Universal Music Japan. With a vocal range spanning over 3 octaves, by way of her voice containing 1/f fluctuations Japanese Acoustic Labs ascertained that Sarah's singing was therapeutically beneficial. All six of her albums have topped both the SoundScan and Billboard Japan classical charts. Sarah worked together with 16 time Grammy Award winning record producer David Foster on the Disney special anniversary album We Love Disney. She performed and recorded with Andrea Bocelli, who is said to be the world's best tenor, as well as with composer and pianist Ludovico Einaudi. For the album, she also sang a duet with Peabo Bryson. Sarah is a copywriter at M&CSAATCHI (Japan Branch) and has written slogans for companies including Mitsubishi Corporation and Japan Airlines. As a Good Will Ambassador, Sarah presented the Australia now program. Sarah wrote the lyrics and sang for a parasports theme song in Japan, "Dream As One" (composed by Yasunori Mitsuda). In Japan, she is also a presenter for radio and television broadcasts. She is currently the presenter on NHK World's program Kabuki Kool. In the long-running NHK TV drama Segodon, she sang "Waga Kokyou" and "Segodon Kikou ~Satsuma hen~", the drama's ending theme. Sarah has performed the Japanese National Anthem in front of the Emperor and Empress of Japan. She sang in the music for the 2019 TV animation series The Promised Neverland. And this autumn, Sarah will appear in the NHK drama Fujoshi, Ukkari Gei ni Kokuru. Her first Greatest Hits album, Timeless, full of self-selected newly recorded songs, is currently being sold. 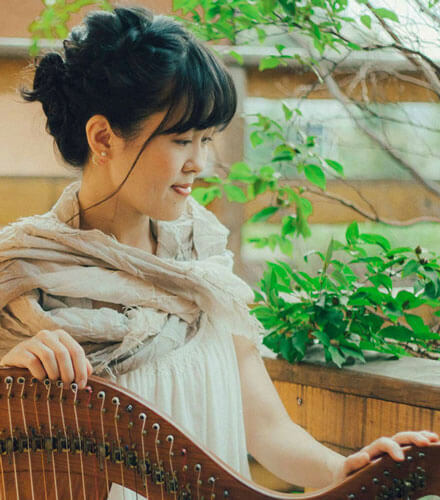 She has been involved in various video game music projects, including Valkyria Revolution, Yogensha Ikusei Gakuen Fortune Tellers Academy and Time Travelers. 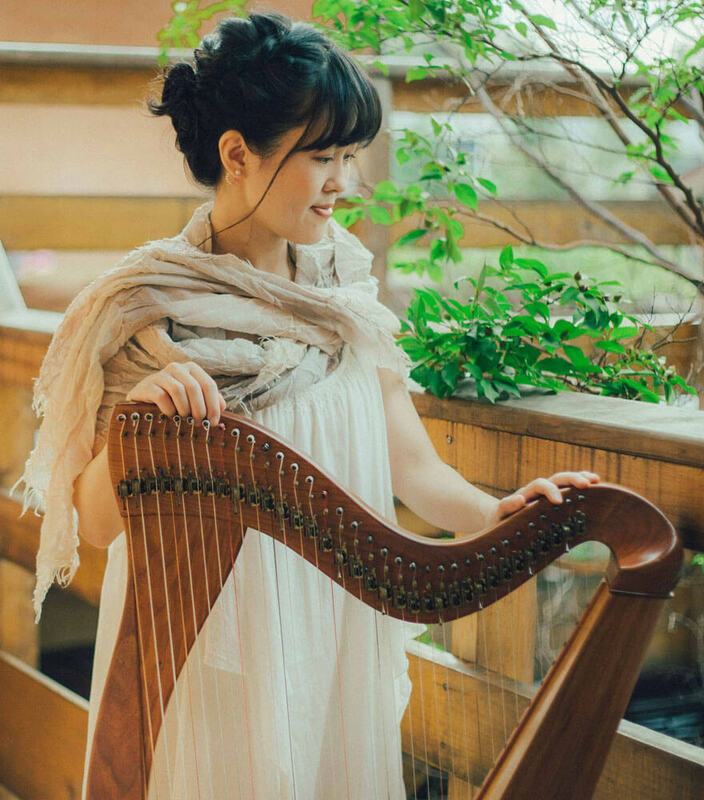 With a foundation in classical technique, Chiaki studied traditional music under Kathleen Loughnane (Irish style) and nyckelharpist Leif Alpsjo (in Sweden). In 2012 and 2017, she performed with "The Chieftains", who have won seven Grammys. In 2014, she performed at the Halland Museum in Sweden. And in 2015, she joined Yasunori Mitsuda's 20th Anniversary Concert in both Tokyo and Taiwan. 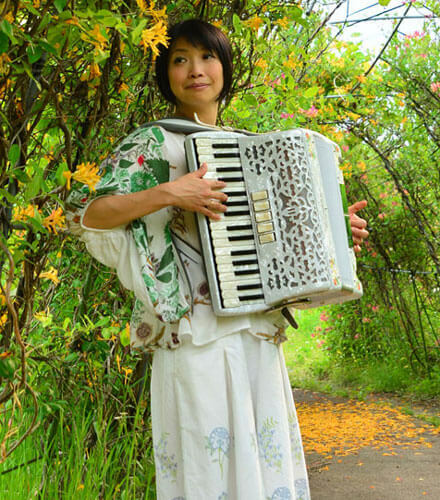 Not only performing traditional music, Chiaki also performs for a variety of recordings, including film, commercial and video game music. Shingo Ogaya was born on November 13, 1993 in Tottori. From when he was a child, Shingo was exposed to piano, guitar and other instruments, as well as classical, pop, rock and so on. From the age of 3, Shingo has been influenced by a wide variety of music. 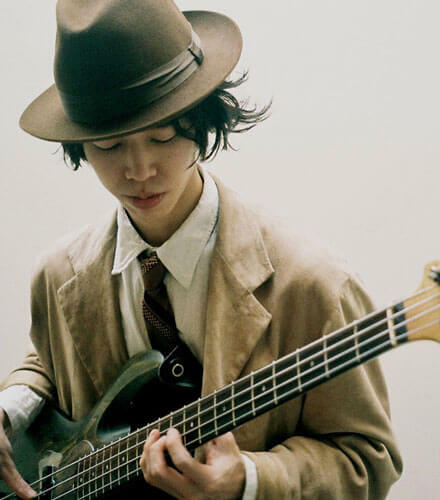 After turning 14, Shingo started playing the bass in live performances. After graduating from high school, he entered the "Mesar Haus" music school in Tokyo. 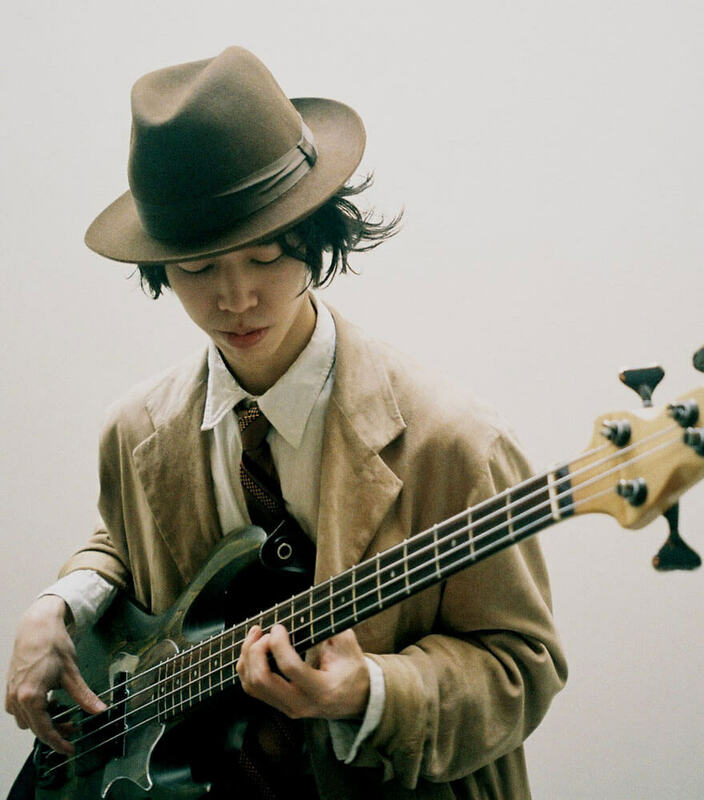 He studied the electric bass under Junichi Ono and Tetsuo Sakurai while at the same time studying the double bass under Shinichi Satoh. 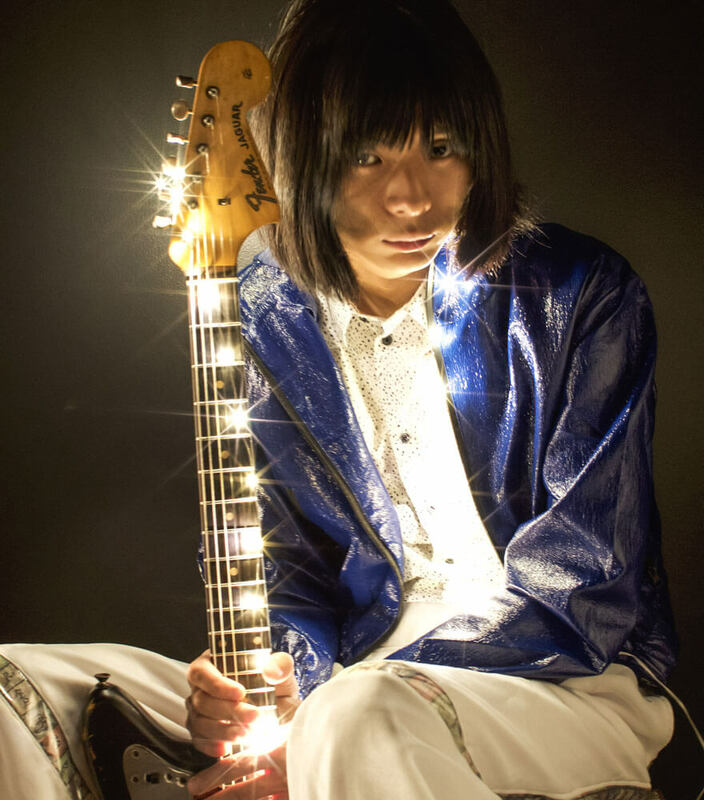 The focus of his activities is playing as a member of the young Japanese fusion band "DEZOLVE" alongside Maoki Yamamoto (drums), Jun Tomoda (keyboard) and Shoya Kitagawa (guitar). 9 February 2016 DEZOLVE's 1st album DEZOLVE is released. 8 February 2017 Ogaya participated in Shoya Kitagawa's 1st album The New Day. 25 February 2017 DEZOLVE's 2nd album SPHERE is released. Along with what is written above, Shingo is also a support musician for voice actors and singers, and engages in backing band performances, studio work, musicals, and commercial related compositions and arrangements. Shingo also regularly appears on Kanagawa TV music broadcasts. Daisuke Kaminaga was born in Iwaki City, Fukushima. Around the age of 5 he started to play the piano and after returning home from school every day, he would spend his time playing video game music. Through video game music, he gained an interest in the world and in ethnic music. While attending university, he started playing the shakuhachi at club activities. After that, he was awarded a master license of Tozan-Style Shakuhachi and received the master name “Yozan”. Focusing on performing at live music clubs, Kaminaga plays a variety of genres with a variety of artists. 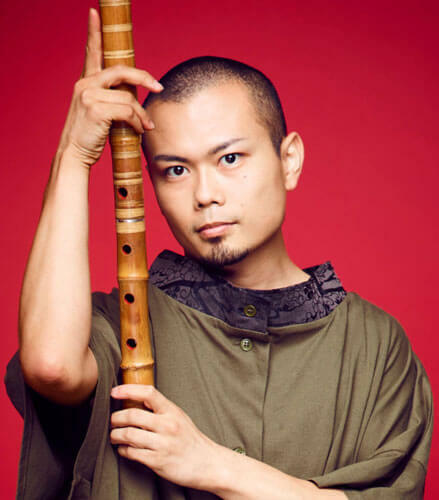 While continuing to expand the possibilities of a new shakuhachi ensemble, he spreads the beauty of video game music throughout the world. He takes part in planning and performing events such as the Playing Works! series, Kaze to Caravand, Famikoto and so on. 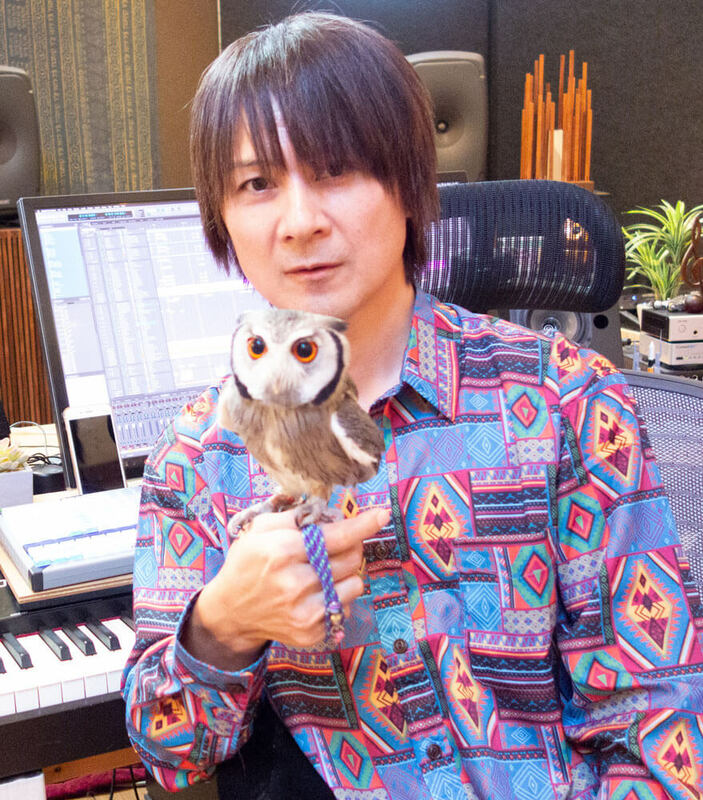 Kaminaga has worked with many video game music composers. In 2015, he joined Yasunori Mitsuda's 20th Anniversary Concert "THE BRINK OF TIME" in both Tokyo and Taiwan. Currently, Kaminaga is a member of the shigin* and Japanese instrument fusion rock band, WagakkiBand as well as the acoustic unit Hanafugetsu. * A form of Japanese poetry. I was born on February 21, 1994. I started playing the guitar in my second year of Junior High. While I play in my own band, "EDOGA-SULLIVAN", I also participate in various other artists' recordings and live events. Although distinctive for my intense stage performances, after breaking my guitar once I'm careful not to break any equipment again. As you might imagine. Equipment is important! I quite like Sasaki, another guitar player. Naoya is a member of the band "Kusoiinkai". Naoya started performing in 2010. On December 28, 2011 Kusoiinkai made their indie debut with Renaibeta no Tsukurikata, which was selected by Tower Recommend and subsequently topped the 2012 Tower Recommend chart. On June 4, 2014 Kusoiinkai debuted with a major label, releasing Shu no Kigen. Kusoiinkai has performed in various major festivals including Music Fair, CDTV, Rock in Japan FES, Countdown Japan FES, Perfume FES and so on. Naoya has performed in the Nippon Budokan, Osaka-jo Hall and many other venues. 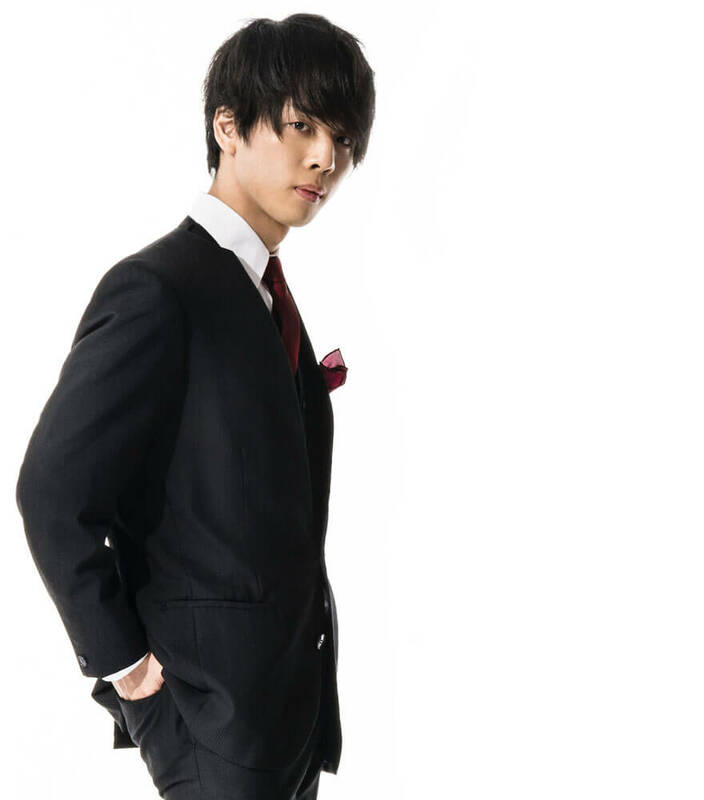 Naoya is mostly in charge of arrangements for Kusoiinkai. He handled all of the instrumental tracks. Naoya also composed the main theme for the movie Macchi Shoujo. In the summer of 2017, Naoya began to individually participate in live events, recordings, commercial performances and other activities. As a member of the band 'Toki no Wasuremono" Naoya played the electric and acoustic guitar in Faraway from Time, the first live concert of the hugely popular smart phone game Another Eden: The Cat Beyond Time and Space on September 1, 2018. 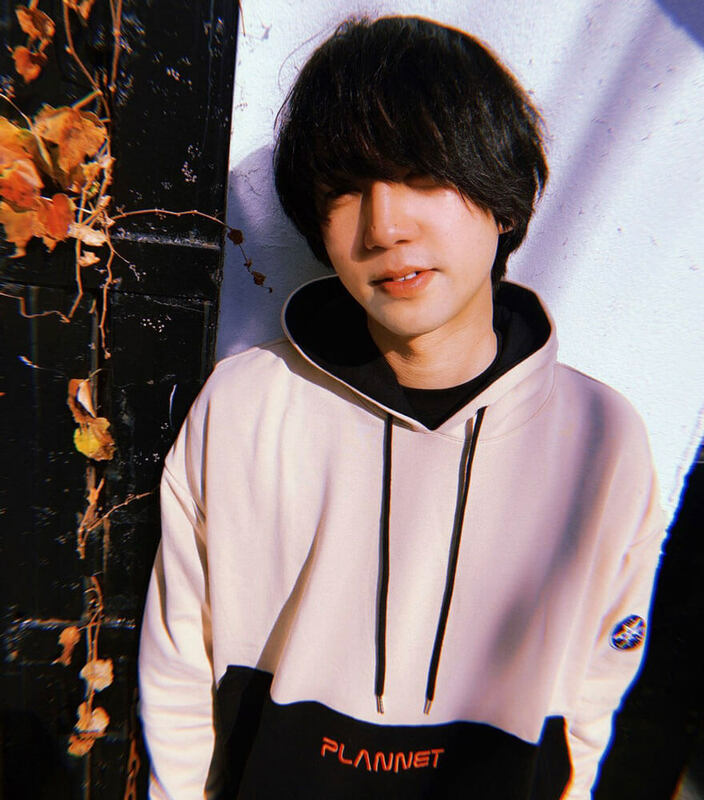 Because Naoya wants many people to know the great feeling of playing the guitar, from February of 2019 he began giving guitar lessons. 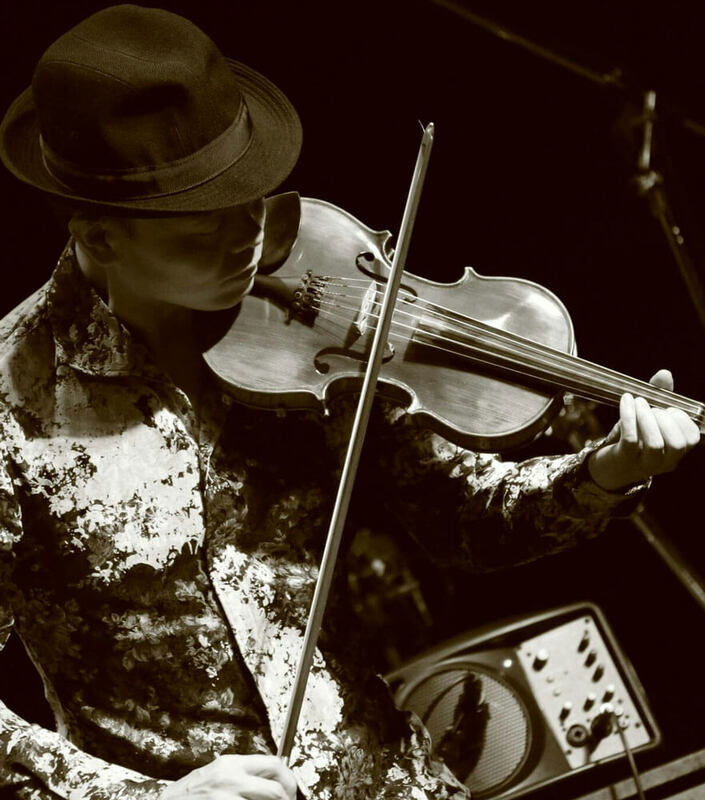 From Rock to Celtic to Arabic music, Akihisa is a violinist who plays with astounding technique and a beautiful tone. Akihisa is the head of his own progressive rock band "KBB". 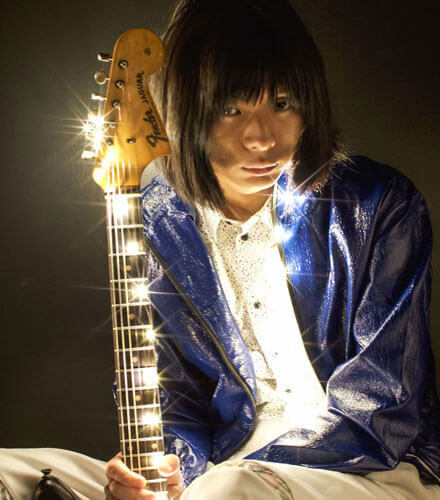 He has also been a part of "Era" (the Akihisa Tsuboy and Kido Natsuki Duo), Ofujitsubo, Yasunori Mitsuda Millennial Fair, WAWAWAWA (band leader: Masaki Yoshimi), Yukihiro Isso Group, Trinite, as well as a variety of other units and recordings. 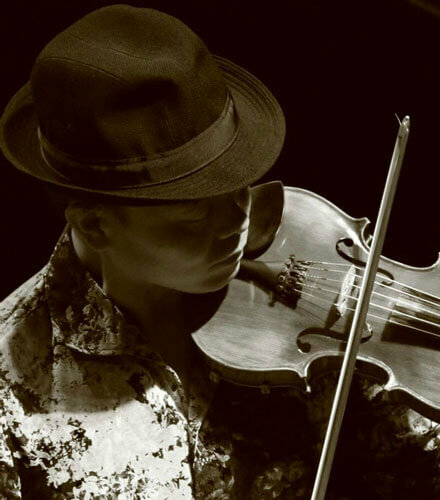 Through playing the acoustic violin with a dazzlingly delicate style, and the electric violin in such an original way, Akihisa has gained recognition around the world. Born in Ibaraki, Japan, Noriko Terada originally started her musical life with the piano at the age of 3. Later at the age of 11, she began playing percussion which she quickly fell in love with. Noriko is internationally known for her percussion recordings for Final Fantasy XV, Final Fantasy XIII-3 by Square Enix as well as live performances at The Music from Final Fantasy by Distant Worlds, The Legend of Zelda Symphony of the Goddesses, Xenogears 20th Anniversary Concert and Capcom’s Official International Tour. After graduating from the prestigious Berklee College of Music, she has been performing as an on-stage drummer for the multi-award winning dance Show TapDogs in London West-End, Paris, Germany, Singapore, Australia, China, Saudi Arabia, South Africa, USA and Dubai. As a multi-percussionist, she has played at TED, Carnegie Hall, Blue Note NY, The Kennedy Center, Montreal Jazz festival and PAX conventions. She has performed with many artists including Grammy award-winning artists such as Anjelique Kidjo, Don Was (producer of The Rolling Stones) and Alan Silvestri (composer of Back To the Future). 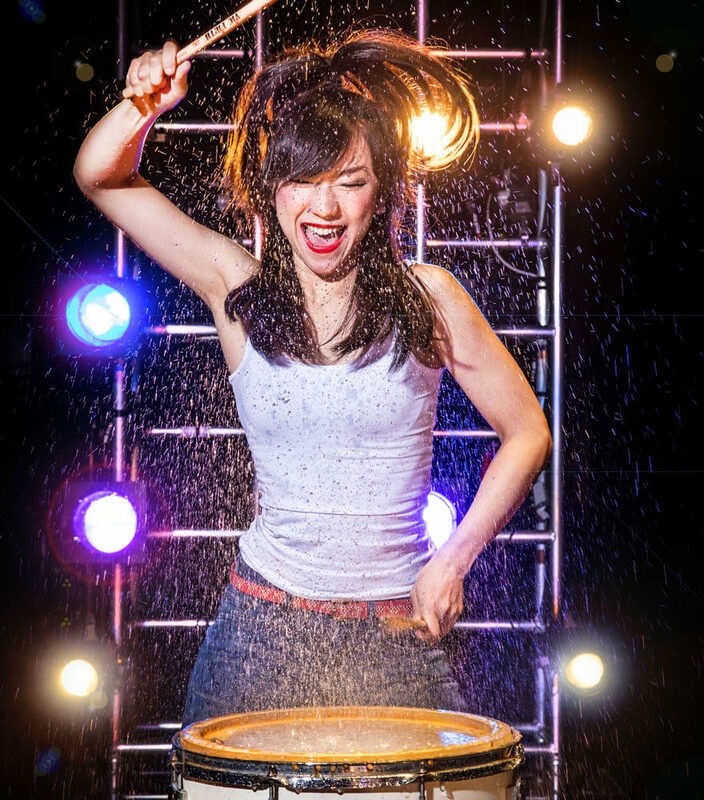 In 2019, Noriko was chosen as #WCW percussionist in DRUM! Magazine, as well as 2019 Hit Like A Girl international drum contest’s Japan Ambassador and Judge. Noriko currently lives in Los Angeles, USA and Japan. Akio Noguchi started playing the piano from the age of 3. He studied under Seiki Haida and graduated from the piano department at the Kunitachi College of Music. While attending school, Akio formed the healing instrumental group 'shikinami'. They performed at a large variety of venues including ceremonies at the Ise Grand Shrine, the inaugural crossing at Uji bridge, NHK Friday variety programs, FM Aichi regular broadcasts and solo live events. 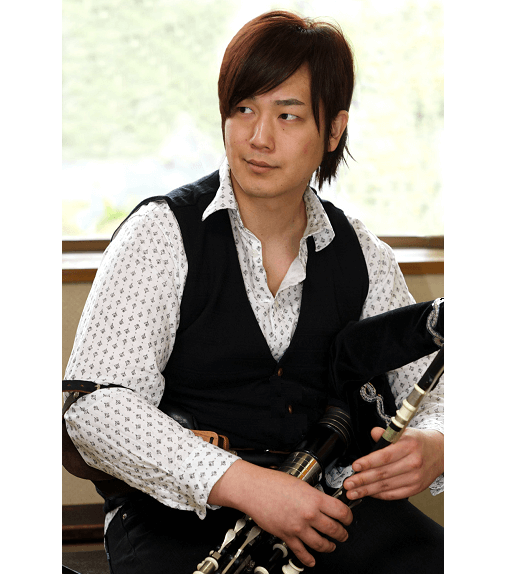 After graduating from university, Akio began to study Irish music on his own and now performs the tin whistle, low whistle, Irish flute, the uilleann pipes and so on. He performed with the traditional Irish band, "The Chieftains", when they played in Japan. Akio has participated in many different recordings including the movie Kuroshitsuji Book of Circus (Yasunori Mitsuda), the year-long NHK TV drama Segodon (Harumi Fuki), the movie What a Wonderful Family! 2 (Joe Hisaishi), the game Monster Hunter Generations and many others. 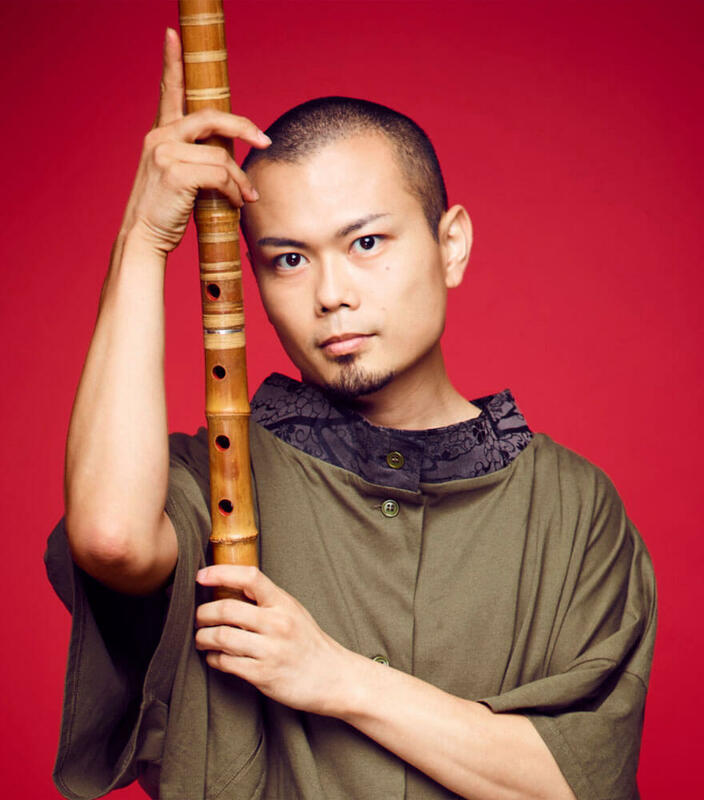 Currently, Akio not only plays Irish music, but he also plays the duduk, the duclar and other folk instruments in an expanding range of performances and events. Turning memories into music. This is Yuka Fujino's life work. Currently, Yuka is a member of Ofujitsubo with Akihisa Tsuboy (violin) and Mitsuhiro Ota (guitar), Riquisimo with Kumi Tanioka (piano) and various other groups. She also works as a support musician for many different artists' concerts and recordings. She is well-known for her phantasmagoric phrases and emotional style. 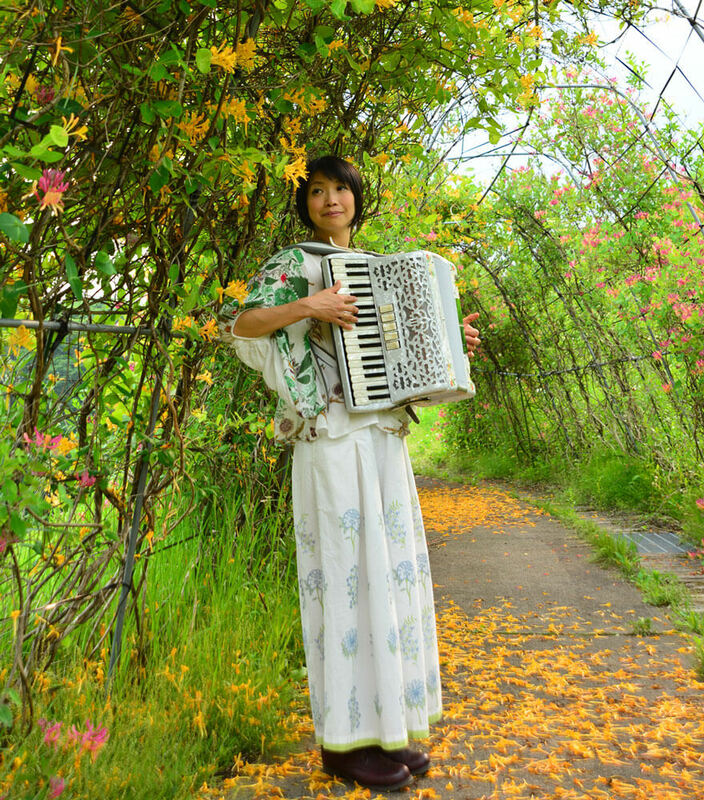 Yuka was in charge of composing both Ofujitsubo's Nanohana and Shurin, which were used in the official commercial for the Unesco World Heritage site Chuson-ji in Hiraizumi, Iwate. Along with her solo album Kokoro Furuwasumono, Yuka has released a lot of other works. Her 3rd solo album will be released in autumn 2019. Yasunori Mitsuda was born on January 21, 1972. 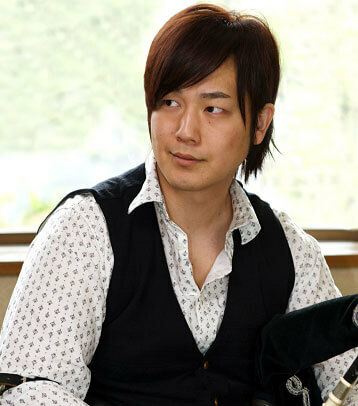 In 1992, he joined Square (currently Square Enix) and made his debut in 1995 composing the music for Chrono Trigger. After composing music for Xenogears and a few other projects, Yasunori became independent. After freelancing for a few years, he founded Procyon Studio in 2001 and is the company's president. Currently, Yasunori makes a large variety of compositions unbound by genre for TV programs, films, video games and so on. He also provides music and works as an album producer for famous artists. Yasunori proactively contributes to various publications and engages in live events and recordings inside and outside of Japan. His major works include Chrono Cross, Xenosaga Episode I, Soma Bringer, Kid Icarus: Uprising, Soul Sacrifice Delta, NHK Special "Uchuu Namachuukei Suisei Bakuhatsu Taiyoukei no Nazo", Inazuma Eleven 1~3, Inazuma Eleven GO 2: Chrono Stone, Inazuma Eleven GO 3: Galaxy, Inazuma Eleven: Ares no Tenbin, Inazuma Eleven: Orion no Kokuin, Kuroshitsuji Book of Circus, Xenoblade Chronicles 2, Final Fantasy XV Episode Ignis and many others. Maoki Yamamoto was born on April 5, 1992 in Saitama, Japan. From when he was a child, Maoki was exposed to rock, fusion and jazz. After listening to a variety of music, he gained an interest in the drums and began to teach himself how to play. 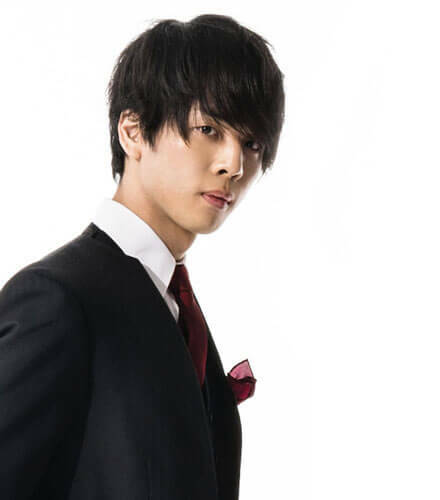 After that, he experienced being a part of a wind orchestra and learned percussion during his 6 years at Kasukabe Kyoei Junior and Senior High School. While attending school, he was able to win first place at many contests and competitions. In 2011, after receiving a scholarship, Maoki entered the Berklee College of Music in the United States. While he mainly studied the drums, he also studied Latin American percussion under many different instructors. Besides performing, Maoki pours his energy into composing, arranging and providing computer based music. In 2012, Maoki returned to Japan and debuted as a genuine professional. 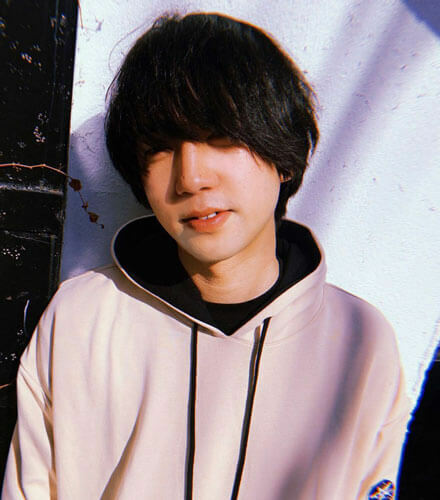 He has worked as a live event support musician and done recordings for Toshiki Kadomatsu, Little Glee Monsters, The Gospellers, Tunnels, Kahoru Kohiruimaki, Saori Yuki, Masato Honda, DIMENSION, T-SQUARE, THE IDOLM@STER, Hinabita♪, Kana Hanazawa, Ayana Taketatsu, Yui Ogura, Shiina Natsukawa, Haruka Chisuga, Nagi Yanagi, Mashiro Ayano, Sarah Àlainn, God Eater, Final Fantasy, Girl Friend BETA and the main themes of other famous video games and anime. Maoki's work as not only a drummer, but as a composer is continuously growing. He has written lyrics and composed and arranged music for THE IDOLM@STER, Hinabita♪ and Konami music video games. Maoki, together with Jun Tomoda (keyboard), Shingo Ogaya (bass) and Shoya Kitagawa (guitar), formed the fusion band DEZOLVE in 2014. He is a Yamaha Zildjian user.